Years ago, after a chanced conversation with Rahul about DJB, qmail and its peculiarities, Rakesh asked me to package something for Fedora distribution and I said okay. Next day, as I was scrolling down the long list of packages that people wished to see in Fedora, I stumbled upon djbdns. It was for that conversation that I clicked on the link and reached to the source of djbdns. After some reading and browsing about the package, I took upon packaging djbdns for Fedora, completely oblivious to the full measure of the mess I was getting into. Soon into the installation and configuration of djbdns, I realised what Rahul meant by peculiar. But it was too late to stop then, so I continued with meek reluctance and ended up packaging daemontools along with djbdns. There began the loop of package review-change-review process, at the end of which I cut a deal to set djbdns free from the clutches of daemontools and package again. Thus setting the genesis of the New DJBDNS. This huge mess of restructuring and renovation aims to. Make djbdns as much concise & independent as possible. Simplify installation & configuration using GNU auto tools. Drop the various *-conf programs. Follow FHS conventions for all kinds of configuration, data and log files. Write good user manuals and documentation. While doing all of this and more, not to loose track of security and apply all the patches available so far. Today, these initial packaging goals are met. Many users have contributed in numerous ways to this progress. 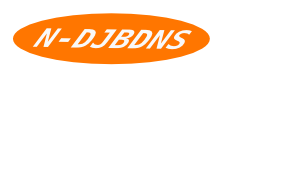 Now we look forward to the greater development and growth of N-DJBDNS and its happy users.